Celebrated during his lifetime as much for his personality as for his paintings, Andy Warhol (1928–87) is the most famous and influential of the Pop artists, who developed the notion of 15 minutes of fame, and the idea that an artist could be as illustrious as the work he creates. This graphic novel biography offers insight into the turning point of Warhol's career and the creation of the Thirteen Most Wanted Men mural for the 1964 World's Fair, when Warhol clashed with urban planner Robert Moses, architect Philip Johnson, and Governor Nelson Rockefeller. 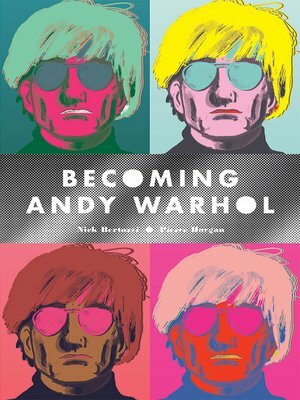 In Becoming Andy Warhol, New York Times bestselling writer Nick Bertozzi and artist Pierce Hargan showcase the moment when, by stubborn force of personality and sheer burgeoning talent, Warhol went up against the creative establishment and emerged to become one of the most significant artists of the 20th century.